The Liga MX regular season is entering the home straight. Week 10 saw the only unbeaten side Veracruz finally lose (3-1 vs Tijuana), Chivas beat Puebla 2-1 in a relegation six-pointer, and Tigres keep the pressure on the top 8 with victory over Pachuca. Video: Aaron Ramsey goal: GREAT finish puts Arsenal 2-0 up in Monaco – Mission Impossible is on! 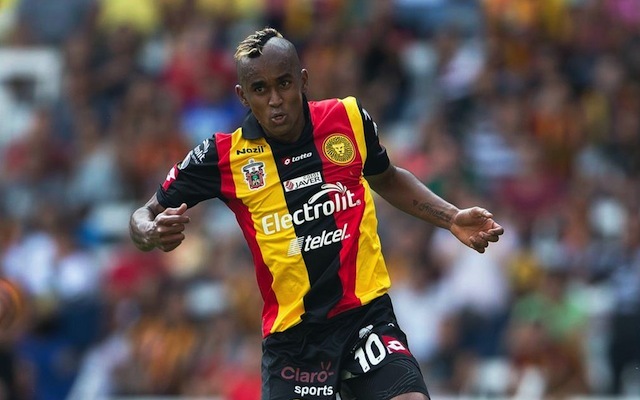 The Ecuadorian striker scored a valuable goal for Leones Negros last Friday, helping the relegation threatened side win their third successive game. Venezuelan Arango put Tijuana ahead with a masterful free-kick that left Veracruz’s keeper stranded. This was the second goal of the night for Torres and helped ease Chivas’ relegation fears. Montes long distance shot tied the game at 2-2 and could cost Cruz Azul boss Luis Tena his job. This injury time free-kick gave Toluca all three points against Ronaldinho’s Queretaro side.